Uniquely engineered for shotcrete applications with higher tensile strength to provide better "Built-In- Reinforcement". PLEXUS™ Synthetic Macrofibers are uniquely engineered for shotcrete applications with higher tensile strength to provide better “Built-In Reinforcement” as a replacement for steel fibers, welded-wire fabric (WWF) and conventional reinforcing bars in a variety of secondary reinforcement applications. In addition, PLEXUS™ Fibers help to minimize temperature shrinkage cracking, plastic settlement and plastic shrinkage cracking. Plexus™ Fibers distribute uniformly throughout the concrete matrix and deliver excellent finish-ability. 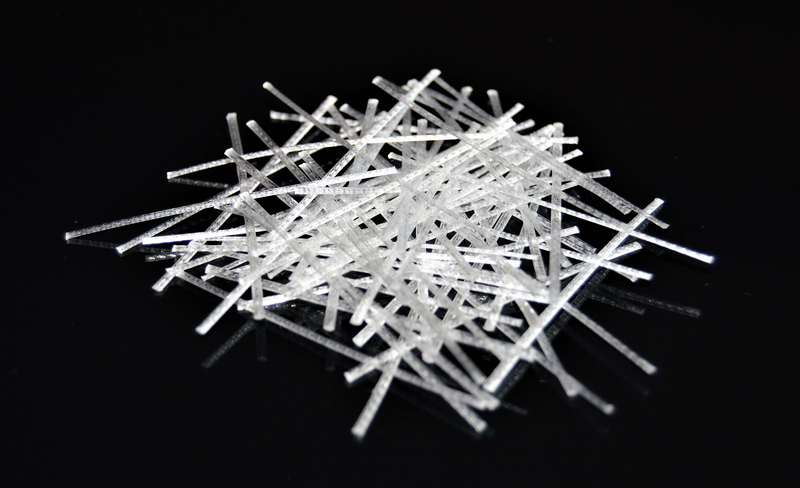 PLEXUS™ 54F Synthetic Macrofibers are high tensile fibers manufactured from a blend of 100% virgin polyolefin resins. FABPRO’s PLEXUS™ Macrofibers meet the requirements of ASTM C1116/C1116M “Standard Specification for Fiber-Reinforced Concrete”. PLEXUS™ Fibers are packaged in compact, pre-weighed degradable 5 lb (2.3 kg), 11 lb (5.0 kg) and 15.4 lb (7.0 kg) bags that can be added directly to the mixing system.